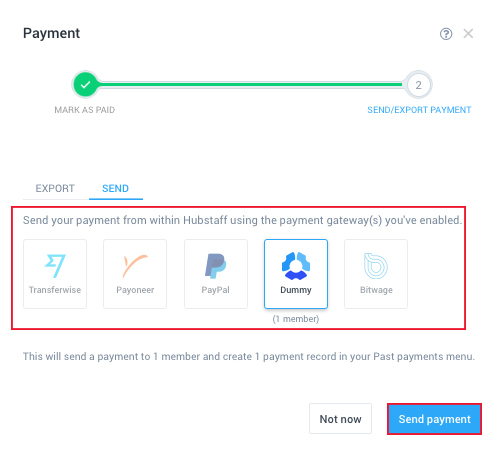 Before you are able to follow this guide, you MUST ensure that you have first setup a payment gateway, and that your members have been added to payroll otherwise, you will only have the option to export payments. If no payment gateway is setup, you will not be able to submit the payment. 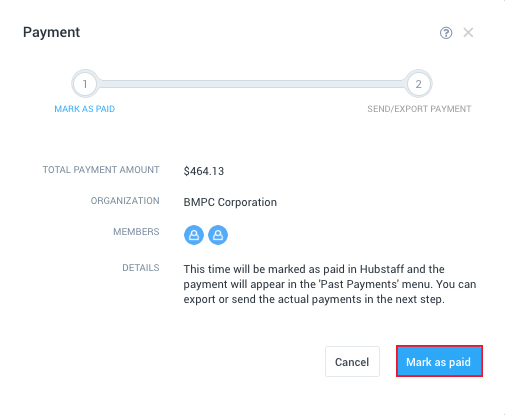 To pay users manually via Hubstaff payroll go to Payments > Send section and click on the PAY FOR HOURS tab. 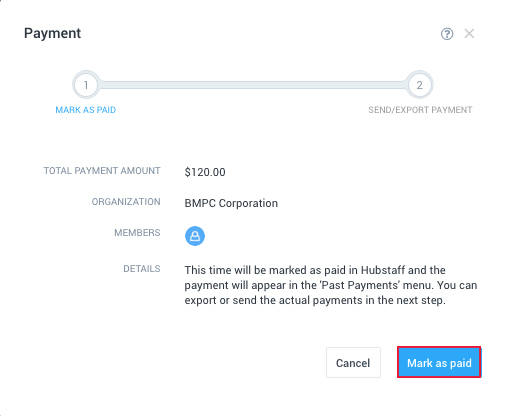 You’ll be able to customize date range and filter to specific projects or users that you’d like to pay. After you hit “Apply,” you should see the Current Rate, Unpaid Amount and Unpaid hours for each team member. You can also edit the user’s pay rate by pressing the “Edit Pay Rate” button. Click on the Send Payment button. After clicking the Send Payment button. 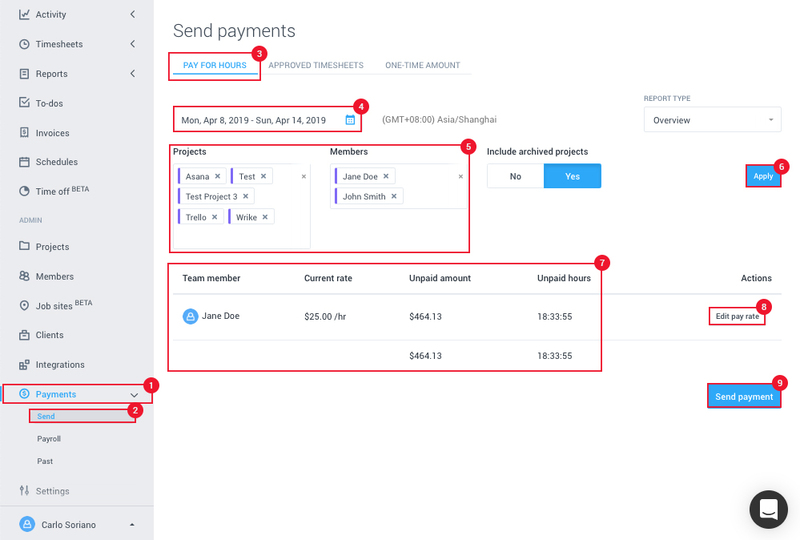 A modal window will pop-up and you’ll be able to confirm the payment amount, organization, dates, projects and the users that are included in the payment. Click on “Mark as paid” to continue. Next, choose the payment channel that you want to use for this payment and click Done. 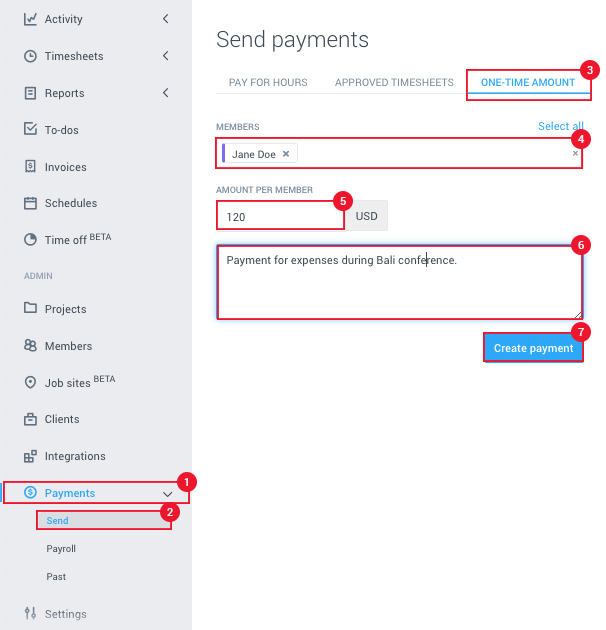 Then, select the payment method to initiate the payment and click Done.